"Through Hinduism, I feel a better person. I just get happier and happier. I now feel that I am unlimited, and I am more in control…"
George Harrison of The Beatles was perhaps one of the most spiritual of popular musicians of our times. His spiritual quest began in his mid-20s when he realized for the first time that "Everything else can wait, but the search for God cannot..." This search led him to delve deep into the mystical world of Eastern religions, especially Hinduism, Indian philosophy, culture, and music. Harrison had a great affinity toward India. In 1966, he traveled to India to study the sitar with Pandit Ravi Shankar. In search of social and personal liberation, he met Maharishi Mahesh Yogi, which prompted him to give up LSD and take up meditation. 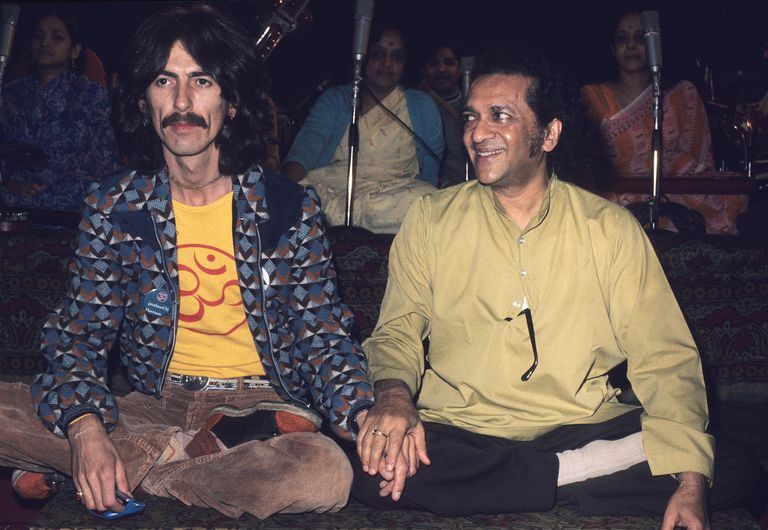 In the summer of 1969, the Beatles produced the single "Hare Krishna Mantra," performed by Harrison and the devotees of the Radha-Krishna Temple, London that topped the 10 best-selling record charts throughout UK, Europe, and Asia. The same year, he and fellow Beatle John Lennon met Swami Prabhupada, the founder of the global Hare Krishna Movement, at Tittenhurst Park, England. This introduction was to Harrison "like a door opened somewhere in my subconscious, maybe from a previous life." Soon after, Harrison embraced the Hare Krishna tradition and remained a plainclothes devotee or 'closet Krishna', as he called himself, until his last day of earthly existence. The Hare Krishna mantra, which according to him is nothing but "mystical energy encased in a sound structure," became an integral part of his life. Harrison once said, "Imagine all the workers on the Ford assembly line in Detroit, all of them chanting Hare Krishna Hare Krishna while bolting on the wheels..."
Harrison recalled how he and Lennon kept on singing the mantra while sailing through the Greek islands, "because you couldn't stop once you got going…It was like as soon as you stop, it was like the lights went out." 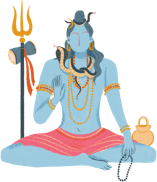 Later in an interview with Krishna devotee Mukunda Goswami he explained how chanting helps one identify with the Almighty: "God's all happiness, all bliss, and by chanting His names we connect with Him. So it's really a process of actually having a realization of God, which all becomes clear with the expanded state of consciousness that develops when you chant." He also took to vegetarianism. As he said: "Actually, I wised up and made sure I had dal bean soup or something every day." In the introduction Harrison wrote for Swami Prabhupada's book Krsna, he says: "If there's a God, I want to see Him. It's pointless to believe in something without proof, and Krishna consciousness and meditation are methods where you can actually obtain God perception. In that way, you can see, hear & play with God. Perhaps this may sound weird, but God is really there next to you." While addressing what he calls "one of our perennial problems, whether there is actually a God", Harrison wrote: "From the Hindu point of view each soul is divine. All religions are branches of one big tree. It doesn't matter what you call Him just as long as you call. Just as cinematic images appear to be real but are only combinations of light and shade, so is the universal variety a delusion. The planetary spheres, with their countless forms of life, are naught but figures in a cosmic motion picture. One's values are profoundly changed when he is finally convinced that creation is only a vast motion picture and that not in, but beyond, lies his own ultimate reality." Harrison's albums The Hare Krishna Mantra, My Sweet Lord, All Things Must Pass, Living in the Material World and Chants of India were all influenced to a great extent by the Hare Krishna philosophy. His song "Awaiting on You All" is about japa-yoga. The song "Living in the Material World," which ends with the line "Got to get out of this place by the Lord Sri Krishna's grace, my salvation from the material world" was influenced by Swami Prabhupada. "That Which I Have Lost" from the album Somewhere in England is directly inspired by the Bhagavad Gita. For the 30th anniversary re-issue of his All Things Must Pass (2000), Harrison re-recorded his ode to peace, love and Hare Krishna, "My Sweet Lord," which topped the American and British charts in 1971. Here, Harrison wanted to show that "Hallelujah and Hare Krishna are quite the same things." George Harrison passed away on November 29, 2001, at the age of 58. The images of Lord Rama and Lord Krishna were beside his bed as he died amidst the chants and prayers. Harrison left 20 million British pounds for the International Society for Krishna Consciousness (ISKCON). Harrison wished that his earthly body be cremated and the ashes immersed in the Ganges, near the holy Indian city of Varanasi. Harrison firmly believed that "life on Earth is but a fleeting illusion edged between lives past and future beyond physical mortal reality." Speaking on reincarnation in 1968, he said: "You go on being reincarnated until you reach the actual Truth. Heaven and Hell are just a state of mind. We are all here to become Christ-like. The actual world is an illusion." [Hari Quotes, compiled by Aya & Lee] He also said: "The living thing that goes on, always has been, always will be. I am not really George, but I happen to be in this body."